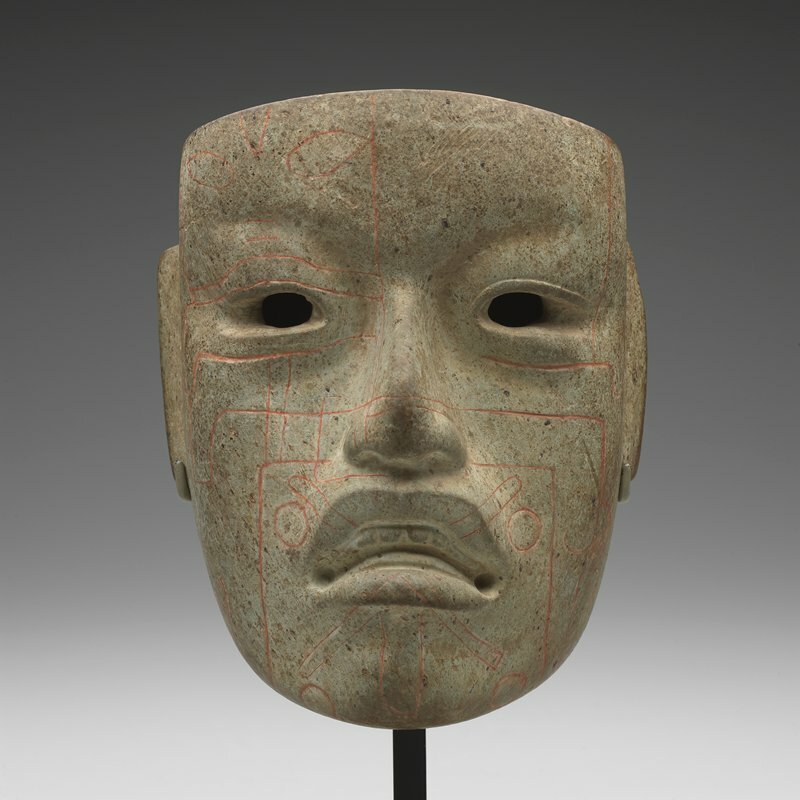 This mask was created about 3000 years ago, perhaps as a portrait of a leader among the Olmec people of Mesoamerica (present-day southern Mexico). It was likely reserved for ceremonial use. An artist sculpted it from jadeite, then carved lines and highlighted them with a red mineral powder of mercury sulfide (cinnabar). These lines may replicate face paint or tattooing. The rare materials and symbolic designs, like the supernatural human-jaguar whose face hovers above the right eye, reflect the ruler's religious and political power.